This description of the Book of Jeremiah is from Easton's Bible Dictionary. "Jeremiah, Book of: consists of twenty-three separate and independent sections, arranged in five books. Reproofs of the sins of the Jews, consisting of seven sections, Jeremiah 2:1-37, Jeremiah 3:1 - 6:, Jeremiah 7:1 - 10:, Jeremiah 11:1 - 13:, Jeremiah 14:1 - 17:18, Jeremiah 17:19 - 20:18, Jeremiah 21:1 - 24:10. A general review of all nations, in two sections, Jeremiah 46:1 - 49:39 and Jeremiah 25:1 - 38, with an historical appendix of three sections, Jeremiah 26:1-24, Jeremiah 27:1-22, and Jeremiah 28:1 - 29:17. Two sections picturing the hopes of better times, Jeremiah 30:1 - 31:40 and Jeremiah 32:1 - 33:26, to which is added an historical appendix in three sections, Jeremiah 34:1-7, Jeremiah 34:8-22 and Jeremiah 35:1-19. The conclusion, in two sections, Jeremiah 36:1-32 and Jeremiah 45:1-5. 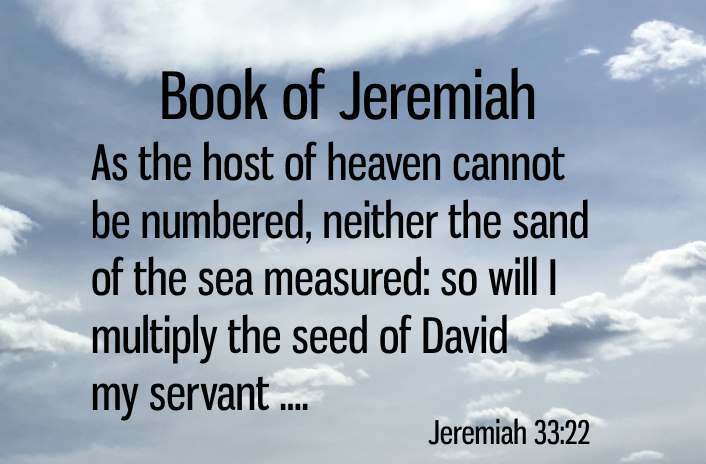 In Egypt, after an interval, Jeremiah is supposed to have added three sections, viz., Jeremiah 37:1 - 39:18, 40:1 - 43:13, and 44:1-30. The principal Messianic prophecies are found in Jeremiah 23:1-8, 31:31-40, and 33:14-26. Jeremiah's prophecies are noted for the frequent repetitions found in them of the same words and phrases and imagery. They cover the period of about 30 years. They are not recorded in the order of time. When and under what circumstances this book assumed its present form we know not. The LXX. Version of this book is, in its arrangement and in other particulars, singularly at variance with the original. The LXX. omits Jeremiah 10:6-8, 27:19-22, 29:16-20, 33:14-26, 39:14-26, 52:2,3,15,28-30, etc. About 2,700 words in all of the original are omitted. These omissions, etc., are capricious and arbitrary, and render the version unreliable."